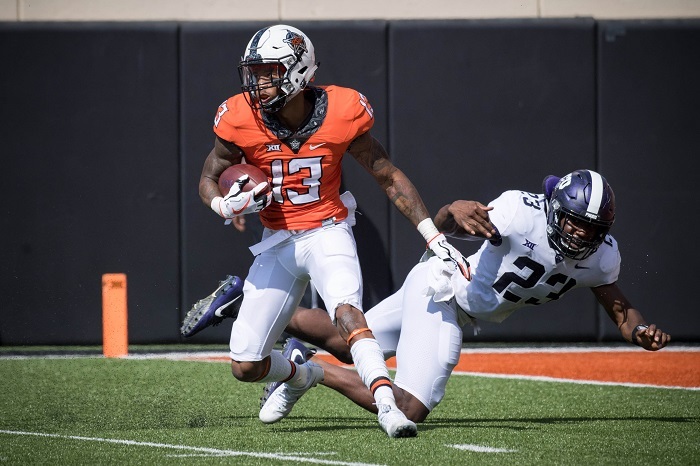 Here is everything you need to know about the upcoming Big 12 Conference game in our TCU vs. Oklahoma State preview and prediction. 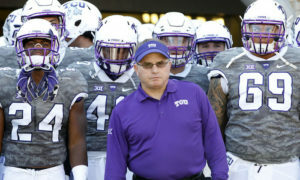 Fun Fact:TCU will look to become bowl eligible when it hosts Oklahoma State on Saturday at 7 p.m. 4TCU has reached a bowl game in 18 of the 20 seasons Gary Patterson has been on campus, including 15 of his 17 years as head coach. But Oklahoma State leads the all-time series 15-11-2. 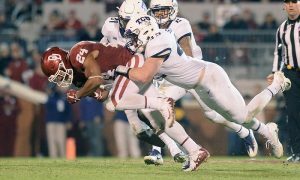 Hubbard has had his two best games of the season the past two weeks with 22 carries for 104 yards and three touchdowns against Oklahoma. His encore performance came last week against West Virginia with 26 carries for 134 yards. He also had five catches in both games for 73 total yards. He’s taken some of the workload off Justice Hill and has given the Pokes another major threat out of the backfield. Brailford has had a monster season, ranking first in the Big 12 Conference with nine sacks, along with third in the conference with 15.5 tackles for loss. As a team, the Cowboys rank fifth in the nation with 3.45 sacks per game, and Brailford is leading the way. Reagor has been the engine that has kept this offense afloat through its quarterback woes. He’s now going up against the Cowboys seventh-ranked pass defense in the Big 12. The last four games he has averaged 127 yards per game and has a touchdown catch in six-straight games. Bangou was the Preseason Big 12 Defensive Player of the Year and he’s had an up and down season. Overall, the numbers look good. He is T-3 in the Big 12 with 7.5 sacks this season and is second in the conference with 16 tackles for loss. His last four games have been fantastic with 3 sacks and 11.5 tackles for loss. Now he goes up against an Oklahoma State offensive line that has given up the second-most sacks in the conference. The Cowboys need to keep Cornelius upright in order to allow him time to get the ball downfield to Tylan Wallace and Tyron Johnson. Cornelius is not good at throwing on the run, so a clean and wide open pocket is key for him. 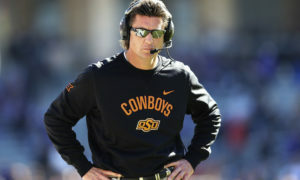 If not, expect the Pokes to look in the flat to the likes of Chuba Hubbard and Justice Hill. Also, consistency. This team has been all over the map this season with losses to Kansas State and Baylor, but wins over Texas and West Virginia, with a near miss against Oklahoma. The Horned Frogs have liabilities on offense, but they go up against a defense that has been anything but stout this season. Find Jelan Reagor early and often and then let that open up the running game for Darius Anderson, Sewo Olonilua and Emari Demercado. It has to be that way because TCU’s rushing offense has been the worst in the Big 12 during conference play, with only 106 rushing yards per game. Prediction: TCU 24, Oklahoma State 21. The Horned Frogs are playing for bowl eligibility, while Oklahoma State already became bowl eligible and has been all over the map this season with level of effort. Gary Patterson’s guys played their tails off last week against Baylor and now on Senior Day I expect another impressive performance to try and get this team to a bowl game in front of their home crowd. Banogu and Corey Bethley will cause some chaos for Taylor Cornelius, who won’t have time in the pocket for the deep pass. TCU walks away with a close, low-scoring win in Fort Worth.